BANGKOK Cultural phenomenon, shopping heaven and tourist treasure. Welcome to Bangkok; one of the most cosmopolitan, contrasting and, above all, compelling of Asian cities. Come find your niche among dazzling temples, hotels of every breed and size, eclectic markets, gleaming palaces, ritzy shopping malls, a famous nightlife and the many things in between. BEIJING is one of the most visited cities in the world. There are hundreds of attractions in Beijing waiting for you to explore! The Forbidden City, The Temple of Heaven, The Summer Palace, and the Great Wall of China. 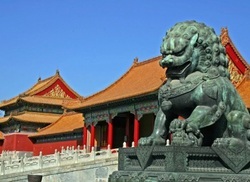 Beijing boasts of many historical sites, siheyuan (courtyard houses) and hutong(alleys), theme museums, parks and gardens. Also the Olympic sites are big magnets both for international and domestic tourists. Welcome to Beijing! HANOI is a fascinating blend of East and West, with Chinese influence from centuries of dominance, and French design from its colonial past.Sightseeing in Hanoi is a sought after activity. Nurture your soul at the verdant greenery of Hanoi's landscapes. Get closer to the city and know the various historic and cultural inspirations. 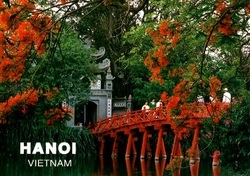 These places treasure numerous historical places and thus you are sure to have a wonderful stay at Hanoi. Tourist Attractions in Hanoi are quite inviting. HONGKONG. 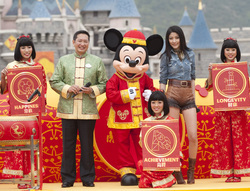 Whether you are a vacationer, nature lover or cultural explorer, Hong Kong can cater for your every desire. Discover all the myriads of things to see and do in one of the most diverse and exciting destinations in the world. Take time to immerse yourself in our architecture, our traditions, our lively art scene and our exotic fusion of East and West influences, and you will experience a Hong Kong with an extraordinary past to match its extraordinary present.